Despite having been used in urology for more than 30 years, there is continuous modification in the application of extracorporeal shock wave lithotripsy (ESWL) to improve its performance. For machine design, the increase in the understanding of coupling in shock wave transmission has led to the incorporation of semi-water basin or the use of camera to improve coupling during lithotripsy. 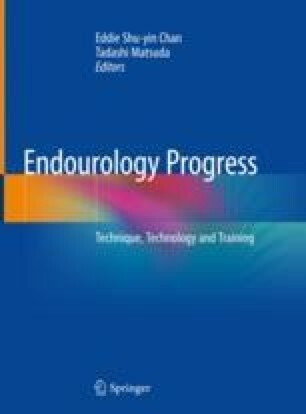 The increase in usage of computerized tomography for stone diagnosis has also allowed us to collect more stone information, including stone density, skin to stone distance, etc., for the prediction of treatment outcomes. As older patients have poorer treatment outcome, and alternate treatment for senior patients should be consider if there are also other unfavorable factors. The use of better analgesic protocol, slower shock wave delivery rate, careful application of coupling gel, and closer monitoring of treatment with imaging will all contribute to improvement in treatment outcome.